Q Does this fan have an optional light kit? A The Quorum Windmill Indoor Ceiling Fan 97215-86 is not light kit compatible. Q Is there a light kit available? Q can this be mounted on a 10 degree sloped ceiling? 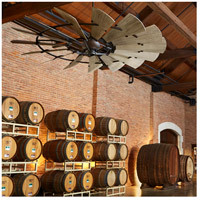 A The Quorum Windmill Indoor Ceiling Fan 97215-86 can be mounted on a sloped ceiling. Q Is there a light fixture? 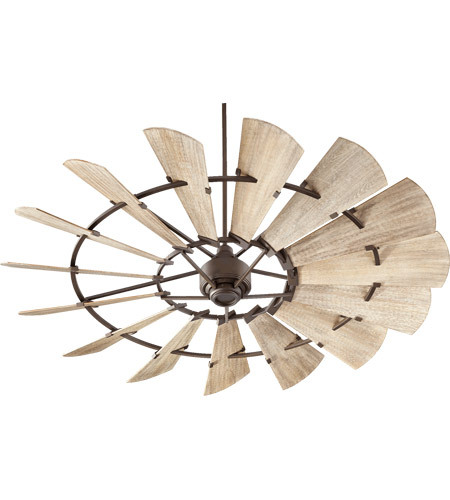 A The Quorum Windmill Indoor Ceiling Fan 97215-86 does not have an option for a light kit to be added. Q What downrod matches this ceiling fan? A The Quorum Windmill Indoor Ceiling Fan 97215-86 has matching downrods available, such as the 24" 6-2486 or the 36" 6-3686. Q Does it have a light kit? A The Quorum Windmill Indoor Ceiling Fan 97215-86 does not come with a light kit, but they are light kit adaptable. Here is a link to the light kits available for the Windmill collection.